This quiet little chapel has been dedicated by Rev Capt. Richard Diamond MBE and is a room of stillness and calm. 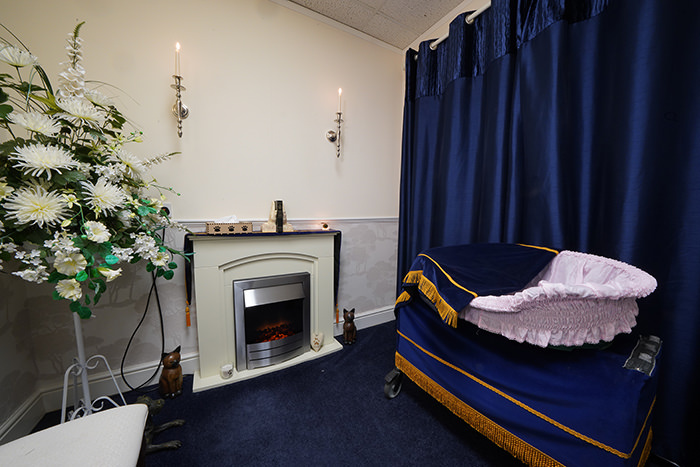 We bring your pet into The Jenny Chapel, named after Alan’s late wife and Sharon’s mother, which is peaceful room offering you the opportunity of spending some quiet time alone with your pet prior to its cremation or burial. Should you wish to visit our premises and take a look at the chapel prior to using our services, you would be more than welcome. Please call 023 8060 0502 to make an appointment.